"Legitimately" Infertile? | How Do You Do It? Starting in about July 2012, I started to get the bitter feeling about not being pregnant. I was upset for days when I would start my period, knowing that another month was wasted and a failure. In September, I started feeling upset towards friends and others that were pregnant because I wasn’t. In December, I officially associated myself with the infertility community after we saw the results from our testing. But I had a problem: in the IF world, you are usually considered infertile after 12 months with no success. By the time I got pregnant with my twins in March/April, we had only been “trying” for 10 months. So, where did we fit in? Were we infertiles? Could we call ourselves that? After all, I DID get pregnant through IUI. Or, did we just speed up the process, and would we have been able to get pregnant on our own, just after some more time? Was my self-made IF label a hoax? Was I just trying to belong to that community, or was I really in it? What do you think? 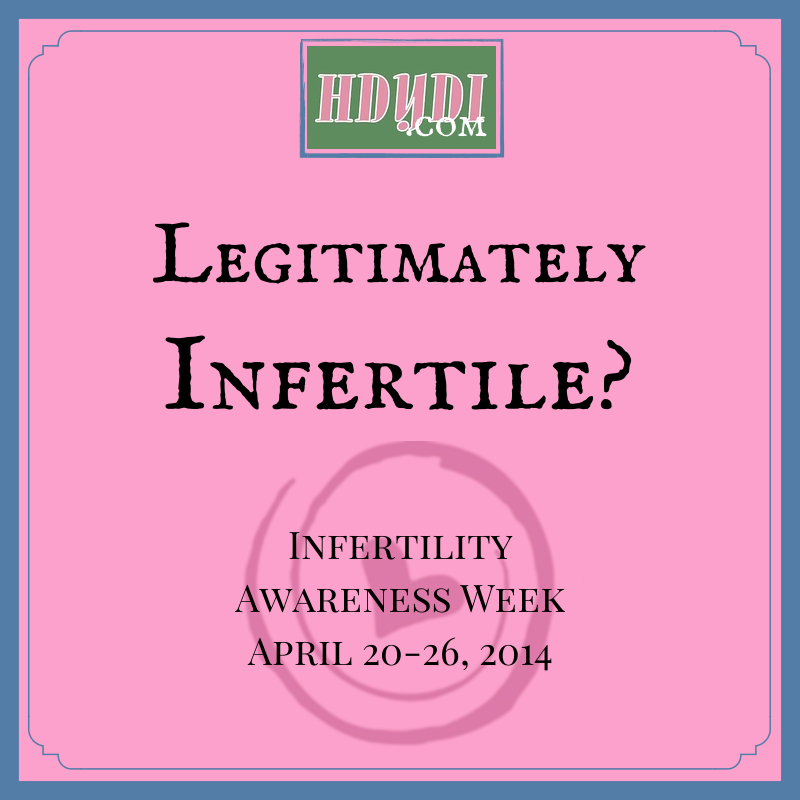 Is there a bright line dividing the infertile from everyone else? Who is legitimately infertile? Hard is relative. Time is relative. I believe that losing a baby at 8 weeks hurts just as bad as losing a baby as an infant – I can say this because I’ve been through both. My three years hurt me just as bad as your 10 months – because we both wanted a family faster/easier than we got it. Previous Previous post: Buy One, Get One Free: Affordable Fertility Treatment! Next Next post: Liz Wonders: Why Was She Crying?